Here's a jury duty quiz for you. Assume you are a judge presiding over a death penalty case. During jury selection you review the questionaire filled out by juror 799, and you are shocked by what you read. The prosecutor asks you to excuse that juror. What do you do? I provide a real life example below. As you read it, consider how you might respond to the prosecutor's request. There will be a pop quiz after the reading assignment. Juror No. 799, an Asian woman in her 20s who said she works in the garment industry, was up for jury duty in the death penalty trial of Bonanno crime boss Vincent Basciano. ... Asked to name three people she least admired, she wrote on her questionnaire: "African-Americans, Hispanics and Haitians." When the judge asked why she answered the question that way, she replied, "You always hear about them in the news doing something." She also declared that cops are all lazy, claiming that they sound their sirens to bypass traffic jams. [The judge] flipped forward several pages in her questionnaire. He landed on the page where she had said she had a relative who was a member of the Chinese Ghost Shadows gang in the 1980s, convicted of murder and still in prison. "Why didn't you put 'Asians' down also?" the judge asked sarcastically, referring to her list of least-liked people. "Maybe I should have," she said. Assistant U.S. Attorney Taryn Merkl requested that the woman be disqualified from the Vinny Gorgeous case because of her "inappropriate" comments. If you said you would disqualify the juror, you are correct, but only partially so. If you are Federal Judge Nicholas Garaufis, you must also tell the woman "This is an outrage and so are you." Then you must sentence her to indefinite jury duty. At the risk of being forced into indefinite involuntary servitude for my beliefs, or being labeled a racist for beliefs ascribed to me by readers who have no idea what is going on inside my head, I argue the correct answer is "You are excused," and nothing more. I concede I have no idea what was going inside that woman's head, but 'll consider two possibilities. First, I'll assume she did in fact hold the racist thoughts she expressed on her jury survey. In that case, I would dismiss her for cause on the assumption that there must be at least one African American, Hispanic, or law enforcement officer involved in the case in some fashion. Her prejudice would therefore keep her from serving as a fair juror. I would recognize that the State had forced her, under the color of law, to serve jury duty. I would recognize that I had required her to answer, under oath, personal and intrusive questions. I would fool myself that we do not punish people for their beliefs. I would not confront her in open court over what she wrote. I would not denigrate her or thank her for her service. I would simply excuse her from serving on the jury. Now, I'll assume the juror was simply trying to get out of jury duty. I'll have to also assume she wasn't even clever enough to say she would never vote for the death penalty. (We certainly can't let such people on a death penalty case.) In that case, I would not confront her in open court over what she wrote. I would not denigrate her or thank her for her service. I would simply excuse her from serving on the jury. I think also that Judge Garaufis now agrees with me. 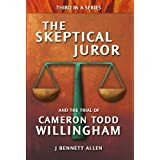 His indefinite jury duty lasted only a single day. A Federal judge relented Wednesday and commuted the sentence of indefinite jury duty he had slapped on a Brooklyn woman who presented herself as wildly racist and anti-cop. "I hope this experience will be an education for you and the next time you're called for jury duty you'll give honest answers," Federal Judge Nicholas Garufis told Juror 799. The young Asian woman had written in her jury questionaire on Tuesday that she couldn't stand "African-Americans, Hispanics and Haitians" - and that all cops were lazy. Garaufis, who is trying to empanel a jury for the capital case against Bonanno crime boss Vincent (Vinny Gorgeous) Basciano, told her she was outrageous and vowed to keep her coming back every day for jury duty. On Wednesday, he made it clear it wasn't her views that angered him but what he said was her obvious attempt to weasel out of jury duty by lying. "My ruling was not based in any way upon whether or not you held any racist views. It was apparent you did not tell the truth," Garaufis told the woman. "You were the only juror who indicated that you had every form of bias imaginable. You were lying to the court in order to be excused. ... The purpose of this order was to attempt to create some consequences or disincentive for people who intentionally obstruct the court's ability to empanel a fair and impartial jury. I claim the judge's justification for his actions doesn't ring true. In other words, I presume to know what's in his head, and I suggest he might be lying. Judge Garaufis claimed that no one could hold such racist views, that anyone who expresses them must be lying. Yet our same court system increases penalties for many crimes if the defendant allegedly acted in response to racial or other socially unacceptable prejudices. Note also that Judge Garaufis certainly left the impression that he was outraged by her beliefs on Tuesday. He did not claim until Wednesday that he was outraged only that someone might actually lie to get off jury duty. I'm sure that must be true. 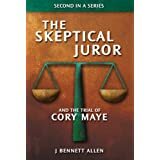 Everyone knows that no one would lie to get off jury duty. It's an "outrage" to finally come across a clear cut case disguised as prejudice. Hahahahahaha. 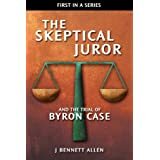 By the way, none of the other jurors were punished with indefinite involuntary servitude, though it is likely many of them were lying. Only the person who claimed (truthfully or otherwise) that she was prejudiced was held up to ridicule and punishment. What Judge Garaufis did manage to accomplish, however, was to present a tutorial on how one should lie to get off jury duty. I offer the following paragraph from the article for those of you who can't figure it out by yourself. Nearly half of the jurors are struck before they even get to court for questioning due to language barriers, fear of the Mafia or their extreme views for and against the death penalty. And finally, there is a bizarre lesson to be learned here. If you are in fact prejudiced, lie under oath when asked about it. Otherwise, you could be punished without trial for perjury.